For the Australian rules footballer, see Bob Clayton (footballer). Clayton as the host of Concentration in 1971. Bob Clayton (August 17, 1922 – November 1, 1979) was an American television game show announcer and host of several shows. 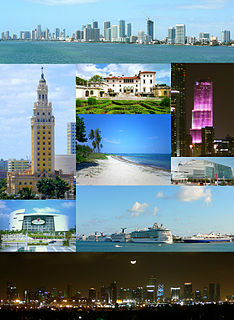 He spent his early television career hosting shows in Miami, Florida before moving to New York in the 1960s. After his first national hosting job on the game Make a Face (ABC, 1961–1962), Clayton assumed announcing duties on the long-running NBC game Concentration in 1963, and took over hosting duties on the show in January 1969 as successor from original emcee Hugh Downs. He was suddenly replaced in March 1969 by Ed McMahon, but later returned in September 1969 after viewer outrage and declining audience ratings. 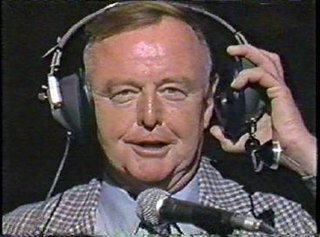 Wayne Howell replaced Clayton in the announcer's booth; Clayton remained on the show until its 1973 cancellation. Clayton also had a brief flirtation with the movies when he played the bell captain in Jerry Lewis' 1960 film, The Bellboy , which was shot on location in Miami. Joseph Levitch, known worldwide as Jerry Lewis, was an American comedian, actor, singer, director, producer, screenwriter and humanitarian, whose career spanned eight decades and was nicknamed "The King of Comedy". 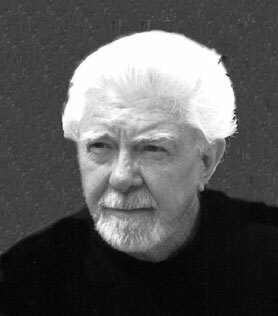 After the cancellation of Concentration, Clayton served as announcer on several shows created by Bob Stewart, including the Pyramid series of games, beginning with CBS' The $10,000 Pyramid in 1973. Pyramid began airing the Monday after the final episode of Concentration aired, in the same time slot, though on another network. Other Stewart shows he did included Blankety Blanks , Shoot for the Stars and Pass the Buck. Pyramid is an American television game show franchise that has aired several versions domestically and internationally. The original series, The $10,000 Pyramid, debuted March 26, 1973, and spawned seven subsequent Pyramid series. Most later series featured a full title format matching the original series, with the title reflecting the top prize increase from $10,000, $20,000, $25,000, $50,000 to $100,000 over the years. The game features two contestants, each paired with a celebrity. Contestants attempt to guess a series of words or phrases based on descriptions given to them by their teammates. The title refers to the show's pyramid-shaped gameboard, featuring six categories arranged in a triangular fashion. The various Pyramid series have won a total of nine Daytime Emmys for Outstanding Game Show, second only to Jeopardy!, which has won 13. Blankety Blanks is an American game show that aired on ABC from April 21 to June 27, 1975. This Bob Stewart Production starred Bill Cullen as its host with Bob Clayton announcing. The Mai-Kai is a Polynesian-themed restaurant and Tiki bar located at 3599 North Federal Highway in Oakland Park, Florida. It opened to the public on December 28, 1956, and is one of the few "Grand Polynesian Palaces of Tiki" still in operation today. In 2015 it was named the "best tiki bar in the world" by Critiki, an organization of fans of Polynesian pop culture. It is the last restaurant/bar in existence carrying on the traditions of service and serving the original drink recipes of Don the Beachcomber, and has been listed on the National Register of Historic Places. Clayton died of cardiac arrest in 1979. Steve O'Brien, a New York disc jockey, took over Pyramid, and he and Alan Kalter announced the show for the remainder of its days in New York. To Tell the Truth is an American television panel game show in which four celebrity panelists are presented with three contestants and must identify which is the "central character" whose unusual occupation or experience has been read out by the show's moderator/host. When the panelists question the contestants, the two "impostors" may lie whereas the "central character" must tell the truth. The setup adds the "impostor" element to the format of What's My Line? and I've Got a Secret. Joseph Henry Garagiola Sr. was an American professional baseball catcher, later an announcer and television host, popular for his colorful personality. Charles John O'Donnell was an American radio and television announcer, primarily known for his work on game shows. Among them, he was best known for Wheel of Fortune, where he worked from 1975 to 1980, and again from 1989 until his death. Jack Clark was an American television game show host and announcer. He is best known for hosting The Cross-Wits, and as an offstage announcer for Password and Wheel of Fortune. On the latter, he succeeded original announcer Charlie O'Donnell and held the role from 1980 until his death in 1988. John Lawrence Narz Jr. was an American radio personality, television host, and singer. Narz eluded the infamous quiz show scandals to forge a respected hosting career. Robert Wesley Hilton is an American television game show personality. He hosted The Guinness Game, a revival of Truth or Consequences, and the 1990 revival of Let's Make a Deal for one season and replaced by Monty Hall, and announced on several other shows. Jackpot is an American and Canadian television game show produced by Bob Stewart which saw contestants attempting to solve riddles in order to win cash and prizes. James Edward Peck is an American television and radio personality based in Milwaukee and is perhaps best known for his time as a game show host. Ian Eagle is an American sports announcer. He calls NFL, NBA, and March Madness games on CBS, TBS, NBC and TNT, and Brooklyn Nets games on the YES Network and hosts Full Court Press, a basketball talk show, with former player Kenny Smith on Sirius Satellite Radio. Other announcing experiences include NCAA men's basketball, NBA, tennis, the Army–Navy football games, the Army-Navy basketball games, boxing, and NCAA track and field for CBS. He is a graduate of Syracuse University. He is known as "Bird" or the "Birdman". Victor Mills "Vic" Roby, Jr. was an American radio and television announcer, voice-over artist and public affairs show host, and served for years as a staff announcer with NBC. Wikimedia Commons has media related to Bob Clayton . The Encyclopedia Of TV Game Shows, Third Edition by David Schwartz, Steve Ryan, and Fred Wostbrock (1999) Published by Checkmark Books, an imprint of Facts on File. ↑ "Production" (PDF). Broadcasting. June 7, 1948. p. 74. Retrieved 16 April 2019.